Get in touch with your phone company. How often do you use your landline to make phone calls? Our world has become dependent on smartphones, which may be an opportunity for you to get rid of a line you do not use often. If you don’t have a landline and want to lower your bill, call your phone company to inquire about deals or if you can save money on your current plan. Sometimes a simple phone call can save you money on your monthly bill. Cut back on your internet and cable plan. Somehow, cable plans always become one of the costliest expenses in a household. How often do you watch television? Are you paying for more channels than you truly need? Streaming services, such as Netflix, offer affordable options to get your fix on your favorite series and movies without the lofty cable prices. Call your cable company to see if you are overpaying for both your cable subscription as well as your internet plan. You may be able to save money by making a few small changes. Make a grocery or shopping list. 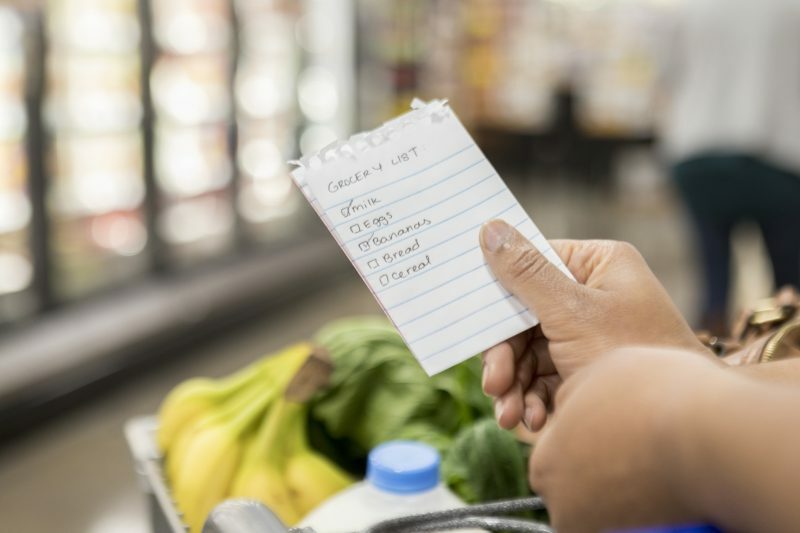 When you set out for the grocery store or the mall, prepare a list of the things you know you need. This can help prevent you from overbuying and get you out of the store quicker as long as you stick to your list. It may also be useful to determine what you will cook for dinner each night of the week. Having a plan can help you get what you need and reduce the amount you spend. Spend some time in your closet determining if you can get rid of some of your old clothes that have spent too much time on the hanger and not enough time outside your closet. There are plenty of apps to help you easily get your clothes listed and sold online. A quick Google search can introduce you to several of these clothing-selling apps! Look for affordable date night options. Just because you are living with debt, does not mean you have to limit or deprive yourself. You can still save money and have fun! Affordable date nights or outings with the kids are a great way to get out of the house for some fun. Some movie theaters offer lower ticket prices at specific times and days. Trips to the park or beach can also get you out of the house to enjoy the fresh air. Create a new workout plan. Gym memberships can be expensive. Depending on the gym, you may be able to freeze your account if it becomes too costly. Technology has made it easy to access fitness programs and videos online to workout in the comfort of your own home. You might also opt for an outdoor solution and take advantage of your local bike path or nearby park to achieve your fitness goals. Reduce your utility bill by adjusting your thermostat and water heater by one degree. You’d be surprised by the difference one degree makes! Remember to turn off lights when you leave a room and keep your thermostat off if you leave the house. The smallest changes can make the biggest impact. PCS Debt Relief offers customized solutions that are tailored to your financial needs. Call (636) 209-4481 for a free consultation today.